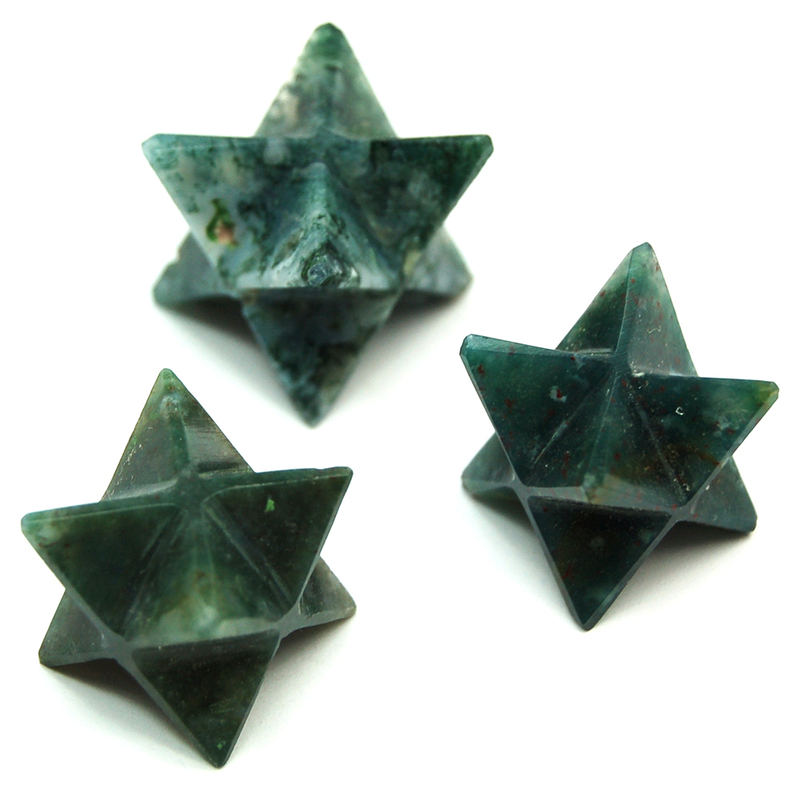 Moss Agate Merkaba Stars - These Moss Agate Merkabas (Merkabahs) are hand-cut by stone-cutters in India. These Moss Agate Merkabas can be used for energy work, for meditation, to brighten up the energy in a room, or with energy grids. Moss Agate is associated with nature and agriculture, and brings new beginnings. Sometimes called Dendritic Agate because of its beautiful dendrite formations, Moss Agate is associated with nature spirits, bringing Earth energy into its healing. Put Moss Agate Merkabas around plants to foster better growth! The gentle, nurturing energy of Moss Agate encourages the user to appreciate and enjoy each moment on Earth, and assists the planet in its healing as well. Moss Agate is considered a “birthing” crystal that can assist midwives in their work. It helps to release old habits and promote forgiveness. 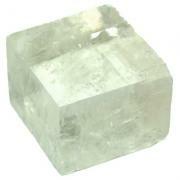 It also attracts wealth and abundance, improves self-esteem, and helps to calm and release fears. Moss Agate also comforts and soothes emotional wounds. 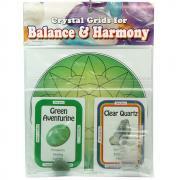 Use Moss Agate to balance the Heart Chakra when releasing stress. 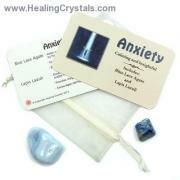 Physically, Moss Agate may help with depression, especially when caused by brain imbalances. It cleanses and detoxes the circulation and elimination systems of the body.